Lock in a great price for Casa Rural Aloe Vera – rated 9 by recent guests! This is not a luxurious place, so if that's what you're looking for, look somewhere else. 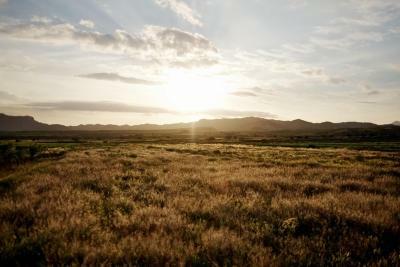 It is however a comfortable place, with nice amenities for the kids, where one can relax and feel IN nature. Where you can eat delicious wholesome meals prepared every day by Lola, the incredible owner of this place, and relax, surrounded by a strangely beautiful dessert. Also great for beach lovers, specially those who don't want to committe to one beach and would rather explore different of the many wonderful ones in the vicinity. 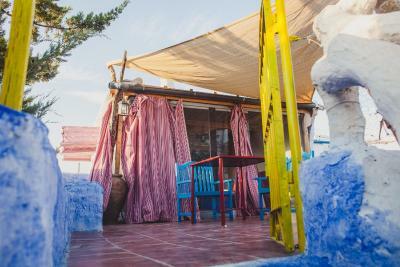 Lovely location, Lola was very welcoming and lovely. Our house was very spacious for all 6 of us - lots of private outdoor space and lots of space to share too. The pool looked great but not the time of year for us to go in! There was everything in the house to make a meal (which we did). Also really easy to get into Huercal overa. Very picturesque. This was the most wonderful , relaxing stay. Everybody is so helpful , just a happy place .Thank you Lola & Team to make us so welcome . The owners were supremely friendly and very helpful. We were staying there as it was located close to the hospital where my father in law was. The owners made the whole experience much less stressful. 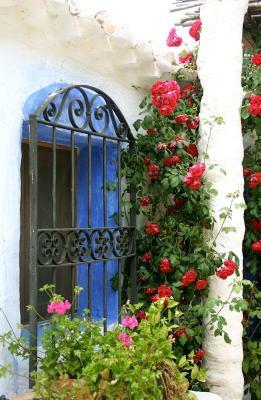 The property was quaint and beautiful, a real hidden treasure. 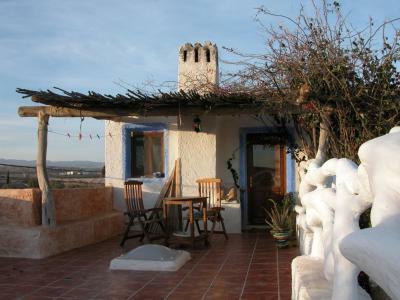 Lovely place,very traditional and Spanish.Total tranquillity,amazing views into countryside and mountains.Great hosting from owner. Lots of nice details. Fine colours. Lots of space. Cats! El entorno y la amabilidad de la anfitriona es lo mejor del alolamiento. Un remanso de paz y tranquilidad. De kleinschaligheid , de vriendelijkheid , typical landscape feelings ....terug naar het echte Spanje Geen groteske building om te verblijven . 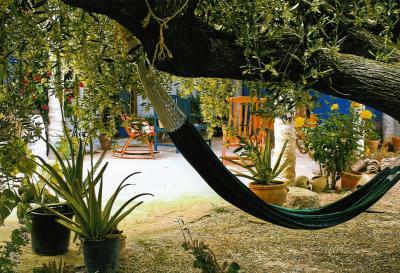 Set in the countryside, 3.7 mi from Huércal-Overa, Casa Rural Aloe Vera offers cozy houses and rooms with free Wi-Fi. 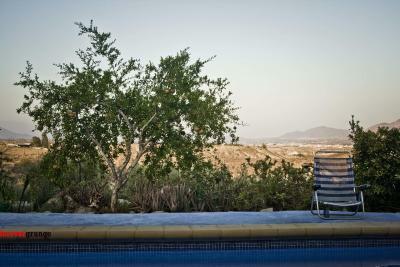 The property has a large garden including terraces with outdoor furniture. 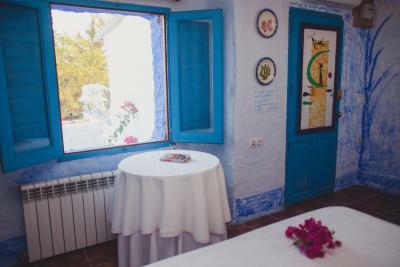 All the simply decorated accommodations follows the principles of feng shui and has views of the garden. The private bathroom comes with a bath tub or shower. Houses also include a living room with a fireplace and a kitchenette with a dining table. This eco-friendly property features an organic vegetable garden. 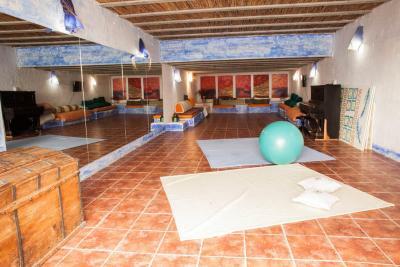 Casa Rural Aloe Vera has a children’s playground and games room, as well as a large room available for events. 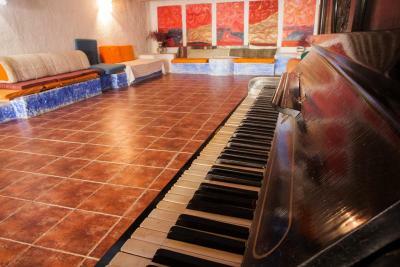 Almeria Airport is an hour’s drive away and there is easy access to the A7 Motorway. 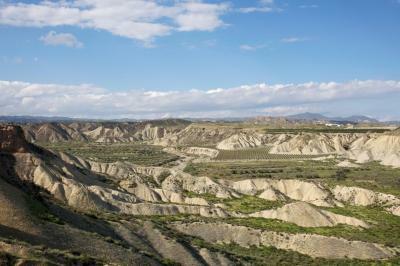 This property also has one of the top-rated locations in Huércal-Overa! Guests are happier about it compared to other properties in the area. 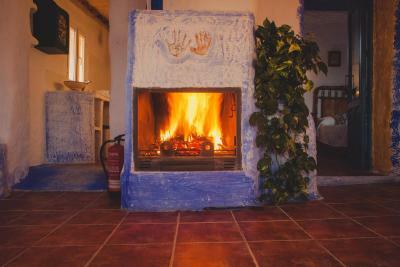 When would you like to stay at Casa Rural Aloe Vera? Featuring white-washed walls and a ceiling with exposed wooden beams, this house has a cozy living room with a fireplace and sofa. The kitchenette includes a fridge and dining area. There is a double bedroom and a bathroom with a bath tub or shower. 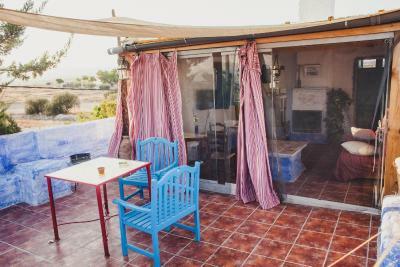 There is a double bedroom, a twin bedroom and a bathroom with a bath tub or shower. 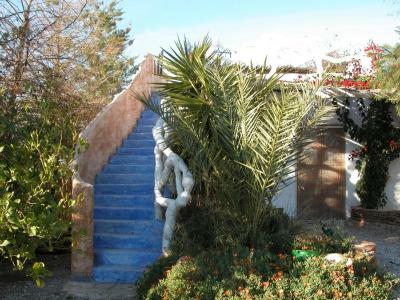 There are 2 double bedrooms, a twin bedroom and 2 bathrooms with a bath tub or shower. House Rules Casa Rural Aloe Vera takes special requests – add in the next step! Casa Rural Aloe Vera accepts these cards and reserves the right to temporarily hold an amount prior to arrival. Amazing hosts. Cooked us a home made dinner, which was great. Superb. If anything, maybe extra pillows but it certainly wasn't an issue - oh, the cups are typically spanish- too small! A better and larger kitchen would have been ideal but we coped. The actual kitchen only consisted of a two ring electric heater and a toaster type thing, in warmer months there is also a BBQ that can be used but that was unsuitable for us. A few more cooking utensils would have been nice too. Expected to do own cleaning like mopping etc. Mop & bucket left outside room. Property was looking very shabby & untidy. The kitchenette space was very small with just 2 gas rings and a microwave so cooking was very limited. However I think there were BBQs.